“The influence of oil on the core nature of our nation’s character and history, and our place in the comity of nations today can hardly be over emphasised. As the 7th leading producer of oil and Africa’s biggest economy, Nigeria’s share in the economy of the region is substantial. There are nations in West Africa which practically exist the way they do now because of Nigeria. So any downward trend in the fortune of our country has consequences beyond our shores, beyond even our continent“. For years Nigerians and their leaders took it for granted that oil revenue would last forever. The fact that it was a finite resource, requiring deft management so that maximum advantage could be derived from its limited years of exploitation, was sacrificed on the altar of politics, incompetence and greed. Since 1956 when crude oil was first discovered in commercial quantity at Oloibiri in the present day Bayelsa State, the nation has obsessed over the commodity; its ownership, its sharing formular, its price in the international market and our share of that pie, which section of the country seemed to own more oil wells, foreign dominance of the production and other processes of oil exploration, the effects of oil spills, the need to diversify from a mono economy, its influence on corruption, ad infinitum . There is indeed no aspect of the oil matter that we have not x-rayed in this country and there is no doubt that it had more than a salutary influence on the decision to fight a horrific 30-month civil war or why we are determined to stick together as one nation after one hundred years of contentious existence. The influence of oil on the core nature of our nation’s character and history, and our place in the comity of nations today can hardly be over emphasised. As the 7th leading producer of oil and Africa’s biggest economy, Nigeria’s share in the economy of the region is substantial. There are nations in West Africa which practically exist the way they do now because of Nigeria. So any downward trend in the fortune of our country has consequences beyond our shores, beyond even our continent. The recent fall in our share of oil revenue as the market witnessed its lowest profits in half a decade and as Nigeria’s number one customer, the United States of America, refused to buy any of our oil, has sent ripples all over and this is a grave cause for concern. Although there has been warnings over the progress of biofuel and the repercussion this could have on oil revenue, this recent shortfall yet caught our government floundering. As oil prices hit a five year low, the Goodluck Jonathan administration took a couple of drastic measures in response to the crises. It was obvious from the sudden policy shifts that we have not made any kind of preparation for such a contingency despite all the warning signals. Announcing a series of austerity measures, the government devalued the naira by some 8 percent and the currency immediately hit a low of 187.55 to the dollar. Efforts by the Central Bank of Nigeria to peg trading within the usual brand of between 160 – 176 naira to the dollar failed and the premium bank also failed to meet its dollar demand at its bi-weekly auction. In a typical week, the CBN used to trade between 200 million and 300 million dollars but as a result of this shortfall, it could only manage a high of 168 million dollars. The consequences of devaluing the national currency in a non productive economy with a moribund manufacturing sector is of course unpalatable. To be fair, the government explained that it had to devalue the naira to halt the decline in foreign reserves which is now as low as 36. 8 billion dollars from an acceptable figure of 44.6 billion dollars a year ago,but with Brent oil trading at a middling 72 dollars a barrel, there was no way the government could keep doing business as usual. Perhaps, therefore, an austerity measure is in some ways necessary. The 4.6 trillion naira budget for 2014 tagged “Budget for Jobs and Inclusive Growth” did not seem to have made any dent in the unemployment market. The envisaged growth of more than 7% per annum is also no longer feasible in the light of current realities. In fact, the money to be shared among the three tiers of government from the federation account has now been drastically reduced and a budget review is inevitable. The finance minister had initially envisaged government revenue to be in the region of 3.73 trillion naira ($23.3 billion), a deficit of 1.9 percent of GDP ,obviously forecast that is now an unrealistic figure. Despite protestations, Nigerians at least know that some sort of cut-backs are necessary. The real danger to me is if we are unable to redirect the austerity measures towards wealth creation via the informal economic sector as a major strategy, the consequences of this challenges will be far more catastrophic . It is not a hidden fact that the economy of Nigeria is largely propelled by the informal sector.Therefore,it is necessary to point out that the people outside government who work hard to make a living should not be made to carry the brunt. What the situation calls for is a drastic change in priorities. We need to ensure that most of the cuts are in the over-bloated recurrent expenditure of high end public servants from the presidency to the 36 state governments and the federal ministries and parastatals. Let the austerity measure target the monies earmarked for running government and public office holders; the money for foreign trips, for courses at home and abroad, for feeding and entertainment, for stationaries and renovation of offices and residencies, for laundering public image and ‘settlements’, and the ubiquitous conduit called Security Vote. The State governments, particularly in the northern parts, should immediately commence the crucial job of increasing their internally generated revenue and massive wealth creation because, clearly, the days of relying on allocations from the federation account to prosecute all their programmes are over. The glorious days of bonny light (Nigeria’s highly sought after crude oil) is sadly behind us. 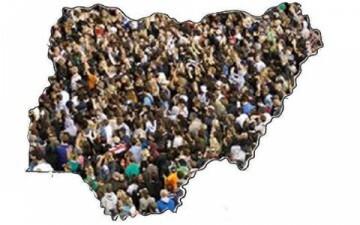 Perhaps it is good that the crisis is coming to a head right now as Nigerians prepare for national elections. Faced with the reality that there is no longer a national cake that is simply there for the sharing, the people must see to it that they elect people into office who have proven track records of competency, honesty and ability to generate and manage wealth. There is no ready money to be spent anymore. The federal government must now truly invest money, time and world class expertise in the accelerated development of the agricultural, manufacturing and productive sectors of the economy. There is no shortage of potentials from mineral to horticulture, but we must be willing to accept the lessons of the Chinese proverb that “talk doesn’t cook rice” and to put national interest ahead of primordial sentiments and make the necessary sacrifices. Unlike oil, these other sectors are heavy on human resource quotient and will not endure the sort of self entitlement, nepotism and patronage that was the hallmark of our oil industry. These are hard times ,but if the austerity measures are handled well and with integrity, it might provide the much needed opportunity for the inevitable shift from a mono-economy and its attendant problems, to the full exploitation of the variegated resources with which our nation is so richly blessed. It is time to lose the stranglehold that oil has had on our psyche since that Sunday, January 15, some 60 years ago when oil was first discovered by Shell Darcy. Bello Bawa Bwari writes from Minna.